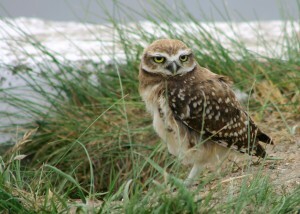 Nature Canada and Bird Studies Canada are injecting new energy into the Important Bird and Biodiversity (IBA) program. Over the past 20 years, millions of dollars and tens of thousands of hours of volunteer hours have been invested in protecting birds at Canada’s IBAs. We are committed to keeping Canada’s IBAs as a centrepiece of our site-related bird conservation work. From 2008 to 2014, Nature Canada and in some cases First Nation partners, aimed to get an ‘on-the-ground” stewardship and advocacy presence in IBAs from local groups and individuals. Over this entire period, Nature Canada and BSC have worked hard to protect Canada’s IBAs through outreach, advocacy with governments and industry, and mobilization of citizen scientists to monitor IBAs. A year into the new phase of IBA conservation work: the IBA Local Action Fund has worked to protect and conserve birds from coast to coast, including three in Nova Scotia, one in New Brunswick, one in PEI, one in Newfoundland-Labrador, three in Quebec, two in Manitoba and two in British Columbia. Thanks to the support of thousands of donors—Nature Canada and Bird Studies Canada are working with local groups on specific projects to protect, restore and enhance biodiversity and ecosystem integrity. Here are a few features on how we are putting your membership to work protecting Canada’s birds! The Laskeek Bay Conservation Society has worked with local individuals to monitor and manage invasive predator species, namely racoons and rats, that are threatening breeding birds in the Laskeek Bay IBA. The Laskeek Bay IBA is a nationally significant breeding site for a multitude of seabird species, including Ancient Murrelets, Pigeon Guillemots, Black Oystercatchers, and Glaucous-winged Gulls. The Laskeek Bay Conservation Society will continue to develop environmental stewards and enhance local capacity to understand and support this IBA. Species that need protecting: Ancient Murrelets, Pigeon Guillemots, Black Oystercatchers, Glaucous-winged Gulls, Marbled Murrelets, Fork-tailed Storm-Petrels. On the ground efforts: The Laskeek Bay Conservation Society worked local conservation champions to be trained on invasive species identification and management methods. In knowing that invasive species control can limit, if not reverse, seabird population decline, this initiative will have a substantial positive impact on conserving the seabird populations within the Laskeek Bay IBA. The Laskeek Bay Conservation Society will continue to monitor breeding population changes compared to long-term trends, in order to measure potential success. Combined, these field-based learning opportunities will enhance local capacity to understand and identify invasive species, it will enhance community understanding of IBAs and the threats they face, and it will develop local champions for the Laskeek Bay IBA in particular. Project: Working with First Nations Guardian Watchmen on the K’omoks IBA. 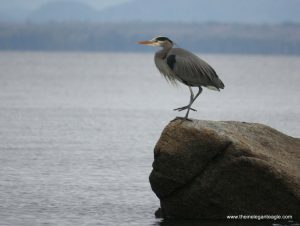 BC Nature has worked with First Nations Guardian Watchmen, who monitor & protect lands & waters on First Nations’ territories along the Vancouver Island coast. The partnership has worked to identify shared bird conservation issues and lay the groundwork to integrate bird monitoring into current Guardian Watchmen stewardship programs. Both the K’omoks Guardian Watchmen and Haida Gwaii First Nations members have been engaged in this active stewardship program. On the ground efforts: Expansion of the Caretaker Network has worked to increase the 'eyes on the water' for better conservation that will benefit both birds and biodiversity, enhancing overall ecological monitoring. BC Nature has had a long-time goal to work more closely with First Nations to achieve common conservation objectives. These groups have worked to increase monitoring to gather important bird data, particularly for waterbird populations in the IBA, and increase engagement of the public through the collective efforts of the KGW and IBA Program partners. These efforts will reduce threats to birds in the IBA as well as raise awareness of other activities that impact birds. A key feature of the K’ómoks Guardian Watchmen Program is public education, an aspect shared with the IBA Program. The K’ómoks First Nation is proactive in working with partners through the Guardian Watchman Program to protect the region’s natural resources from further degradation and to maintain and enhance the ecological health of the territory. Project: Cultivating local leadership to protect a mosaic of habitats and species. The Oak Lake and Plum Lakes IBAs provides a unique mosaic of habitats on the northeast periphery of the Northern Great Plains. Oak Lake is part of the Eastern Mixed-grass Prairie Regional Priority Area, an area prioritized for its high biodiversity value, high concentration of Species At Risk, and its unique ecological/biological landscapes. These diverse habitats are home to a number of species that need protection. Nature Manitoba has worked with indigenous groups and non-indigenous communities to establish a caretaker and stewardship network for this IBA. Threats: Natural habitat converted to cultivated crops, subsurface exploration for oil, with new oil wells and frequently traveled roads leading to habitat loss. On the ground efforts: Nature Manitoba has worked to establish greater local community involvement in the conservation of grassland areas of this IBA. The Manitoba IBA Program reached out to indigenous and non-indigenous communities to establish a caretaker and stewardship network for these IBAs. Nature Manitoba worked to recruit local volunteer caretakers and bird monitors to monitor the grassland birds and habitats of this area which is vulnerable to so many competing pressures. Through a series of outreach and monitoring events, the community partners worked to raise awareness of the importance of native prairie for birds and foster a sense of local ownership for native grassland habitat in order to provide greater support for the conservation of these rare habitats. Project: Monitoring Hudson Bay Coastal IBAs in Partnership with First Nations. Nature Manitoba has worked to engage local community members from Churchill and local First Nations in stewardship and monitoring on Hudson Bay coastal IBAs. The IBAs of Manitoba’s Hudson Bay lowlands are poorly known and susceptible to a range of threats from climate change to disturbance. This area is of high significance for many species including Buff-breasted Sandpiper, Pectoral Sandpiper, Black Scoter, Rusty Blackbird, Red Knot, Hudsonian Godwit and Cackling Goose. The IBA Program is now recognized by a number of people living and working around Churchill and has raised awareness of this area for High Arctic shorebirds. Threat: The IBAs of Manitoba’s Hudson Bay lowlands face multiple threats including habitat loss, mining, hydrological changes, contamination, disturbance and climate change. Species that need protecting: Special focus on monitoring High Arctic shorebirds as well as migratory birds at each IBA site. Seal River Estuary IBA - Road developments may threaten this remote IBA which has significant concentrations of Buff-breasted Sandpiper, Pectoral Sandpiper and Black Scoter. Churchill and Vicinity IBA - This is the ideal gateway for accessing the northern Hudson Bay IBAs. The IBA supports significant concentrations of Rusty Blackbird, Buff-breasted Sandpiper and Red Knot. Nelson River Estuary and Marsh Point IBA - This IBA is the gateway to Manitoba’s eastern Hudson Bay IBA’s and is an important staging area for Red Knot. Kaskattama River Estuary IBA- The IBA has significant concentrations of Hudsonian Godwit and Cackling Goose. On the ground efforts: Nature Manitoba has worked with local groups, eco-tourism businesses, indigenous groups and individuals to create a caretaker network for all of the Hudson Bay Lowland IBAs. The IBAs on the Hudson Bay lowlands need an active caretaker network to increase knowledge of bird populations and movements, acting as an early warning system to understand how climate change is affecting us. 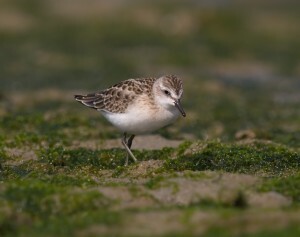 An active caretaker group will raise awareness of this area for High Arctic shorebirds, working with tour groups to ensure that guides operate sensitively and any new infrastructure is carefully considered and even encourage tour guides to use IBA Protocol on eBird with their sightings. Project: Developing a Safe Shorebird Roost Site in the Minas Basin IBA. The food-rich mudflats of the Minas Basin IBA support over 100,000 Semipalmated Sandpipers in addition to tens of thousands of other shorebirds during fall migration. Because of its very high ecological value as shorebird stopover site, the Minas Basin is designated as both an IBA of global significance (Semipalmated Sandpiper is the primary IBA trigger species) and a Western Hemisphere Shorebird Reserve Network (WHSRN) site of hemispheric importance. A number of beaches are primary high tide roost sites used by shorebirds in the Minas Basin IBA. Intense summer recreational pressures, particularly striped bass fishing, coincide with peak fall migration in August. Through community events and outreach to local recreational users, businesses and tourism operators this project is will on its way to creating safe spaces for roosting shorebirds. Next steps the partners hope to build a volunteer program to support the continuation of these strategies in future years. Threats: Habitat loss due to intense summer recreational pressures, particularly striped bass fishing, coincide with peak fall migration in August. 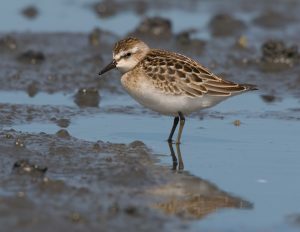 Species that need protecting: The mudflats of the Minas Basin IBA are a crucial shorebird stopover site, supporting over 100,000 Semipalmated Sandpipers and tens of thousands of other shorebirds during migration. On the ground efforts: The Bird Studies Canada Atlantic Region group has worked to to establish a community of understanding and awareness of the importance of finding and maintain safe spaces for roosting is crucial as birds store energy and prepare for long migrations over the Atlantic Ocean. This project worked to engage local citizens to raise awareness and create more safe spaces for shorebirds. This project seeks to develop long-term solutions to creating safe spaces for roosting shorebirds by engaging local recreational users at each roost site. The groups worked to build partnerships within the IBA, including local businesses and tourism operators, to work collaboratively with coastal users to develop and test conservation strategies. Project: Collaborative effort to protect the Roseate Tern breeding colony in the gulf of Maine. This is a collaborative effort between stewards from Université Sainte-Anne and long-time North Brother Island IBA steward to protect the Roseate Tern population on North Brother Island through habitat assessment and enhancement activities and human impact mitigation. 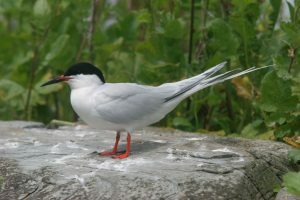 In order to protect the North Brother Island IBA, the Roseate Tern and other species of conservation interest, the group has worked to experiment with different management techniques to protect nesting Roseate Tern from predators and habitat degradation. 35 active volunteers supported this stewardship work over the past year, 12 of which are new to bird conservation stewardship! Threats: The Roseate Tern population are threatened by predation from gulls, invasive plant species, and human disturbance. Major threats to terns and their habitat on the island include predation by gulls, invasive weed encroachment on Roseate nest boxes and nesting habitat of Common and Arctic Terns, and erosion and damage by storms to nesting habitat and Roseate nest boxes. Species that need protecting: Roseate Tern- North Brother Island currently supports 70% of the entire Canadian Roseate nesting population. On the ground efforts: This is a collaborative effort between stewards from Université Sainte-Anne and long-time North Brother Island IBA stewards to protect the threatened Roseate Tern populations as well as the other vulnerable breeding bird species, by managing gull populations using targeted nonlethal control. The groups has worked to increase local awareness and stewardship capacity by engaging local residents and boaters. Recruiting and training community members stewardship practices for the North Brother IBA, most notably gull observations, habitat assessment and enhancement, debris removal, nest box management, recording and reporting Roseate Tern band observations, putting up and maintaining educational signage, and meeting with local boaters. Project: Collaborative effort to protect the Pipling Plovers in the Island Nature Trust IBA. Local groups worked to minimize human disturbance of tourism while educating visitors of the importance of the Island Nature Trust IBA and the Piping Plovers that breed there. 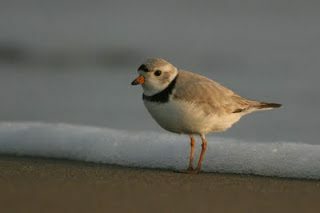 The Island Nature Trust staff and volunteers developed conservation conscious training programs and educational materials to the community in order to protect the Piping Plovers. Building the capacity of local watershed groups and Mi’kmaq conservation groups will continue to build community awareness and support local decision-making that considers IBAs in the context of their ecological sensitivities. Threats: Threats to the IBA’s in PEI include high levels of human and vehicle traffic, unleashed dogs invading nesting areas, and lack of paths to steer visitors away from nesting areas. Species that need protecting: Piping plovers – endangered. On the ground efforts: The partners have worked to raise awareness and train watershed crews, Mi’kmaq groups, summer visitors who work or spend time in IBAs but have little experience with land conservations issues to understand how to minimize human impact inside the IBAs. As IBAs on PEI are popular beaches destinations for locals and visitors, public events in each county were used as a method of disseminating information and connecting individuals experience with conservation-minded values. Written material and reference guides were developed and given out to increase knowledge of wildlife species to encourage the development of regulations that protect and respect the needs of local wildlife. Project: Co-operative efforts to protect the Bay of Fundy from potential oil spills. The entire Bay of Fundy is of critical importance for the Atlantic Flyway, which migrating birds use in spring and fall as they travel between breeding and overwintering grounds. With existing shipping and industrial activity and the potential of increased oil tanker traffic from the Energy East project, there is real concern about the impact of potential oil spills on birds and marine life. As Energy East has demonstrated little interest in studying the impact of oil spills, Nature NB wishes to work with local partners to develop a strategy to increase awareness of the risks and impact of oil spills, encourage action at local IBAs and incite public insistence on protecting the environment upon which so many birds populations depend. The groups have worked on implementing adequate safety measures to protect migratory birds and their habitat. Threats to IBAs: Potential oil spills resulting from the proposed development of the Energy East pipeline, creation of large oil storage facilities along the coast and use of tankers to transport oil through the Bay of Fundy. Species that need protecting: Close to 500 bird species pause to rest and refuel in the Bay of Fundy during their migratory journeys. In particular, Semipalmated Sandpipers, Black Scoters and Atlantic Puffins. On the ground efforts: The partners worked to raise the visibility of IBAs and strengthen local ownership and interest in critical habitats through developing and distributing educational materials, organizing local trips to IBAs, giving presentations in communities, creating local stewardship groups and encouraging citizen science initiatives. Specifically targeting local school children, NGOs, nature clubs, governments and agencies, industrial companies, service groups, media etc in order to increase public understanding of the importance of the IBAs, potential risks and the need to protect them. Project: Building a public campaign to create a new marine protected area that would protect coastal IBAs in Nova Scotia. Nova Scotia local groups have worked to increase awareness in order to protect Port L’Hebert and Port Joli harbours IBA home to a number of species including Ipswich Sparrows, Piping Plovers, Green-Winged Teals, Norther Pintails, Common Goldeneyes, Buffleheads and more. By engaging local residents, fishers, the Mi’kmaq community, and local landowners, has worked with volunteers to work with Department of Fisheries and Oceans to protect the marine environment, bird life and biodiversity in these IBAs. 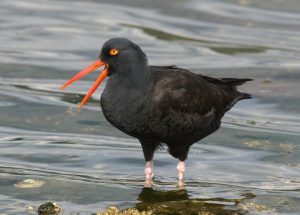 Threats: Commercial harvesting of blood worms in eel grass flats uproots vegetation that is essential food source for Canadian Shorebirds. Improper disposal of construction debris threatens avian habitat. 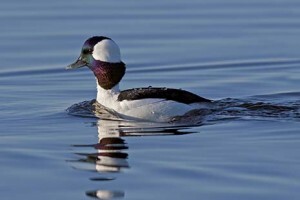 Species that need protecting: Ipswich Sparrows, Piping Plovers, Canada Geese, American Black Ducks, Green-Winged Teals, Northern Pintails, Common Goldeneyes, Buffleheads, Scaup species, Scoter species and Merganser species. A committee of interested volunteers relying upon scientists and local leaders developed a community outreach strategy to engage the community in supporting the proposed protected area. Educational information about the IBA, threats, and species that call it home to ensure ongoing community engagement will be established and a final proposal submitted to the Department of Fisheries and Oceans on protecting the marine environment, bird life and biodiversity in these IBAs. Ile aux Basques et les Razades IBA. rois-Pistoles, Québec. Project: Collaborative management action plans to protect Common Eiders on the Ile aux Basques et les Razades IBA. Summary: The “Societe Provancher d’histoire naturelle du Canada” with the collaboration of some partners, including scientists from universities, volunteers and environmental organizations, undertook research to inform management actions to preserve nesting species on the island. They wanted to find the best method to manage Double-crested Cormorants in order to preserve a small population of breeding Common Eiders as well as some shorebirds. Their habitats are strongly impacted by the increase in cormorant populations. Volunteers made a mapping of the vegetation of the Razade Islands for students to analyze. The Societe Provancher will continue to invite volunteers from previous years to continue their involvement in the project. Where: Ile aux Basques et les Razades IBA. Trois-Pistoles, Québec.. Threats: The increase in cormorant population leads to the destruction of areas of vegetation used by Common Eiders during their nesting period. This habitat also serves as a nesting area for many other species that are also in decline. Species that need protecting: Common Eider, shorebirds, Double-crested Cormorant included (and vegetation). On the ground efforts: The Societe Provancher d’histoire naturelle du Canada already monitors breeding birds on the island. They work to use best practices to discourage the Cormorants and encourage successful nesting of the Eiders. In order to identify the best management methods for the Cormorants the Provancher Society worked to conduct research into the interaction among seabirds, a detailed analysis of spring census results and existing studies on the impact of different management methods for managing nesting Cormorant populations. Battures-de-Beauport IBA – Groupe d’éducation et d’écosurveillance de l’eau. 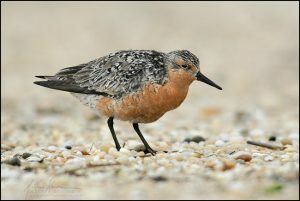 Project: Creating a community of concern for the Battures-de-Beauport IBA to protect Shorebirds. Summary: The “Groupe d’éducation et d’écosurveillance de l’eau” (G3E) created an educational program about the Les Battures de Beauport IBA called“1, 2, 3 ZICO!” project. The IBA is in a very heavily populated area with many sources of disturbance including industry, shipping, pollution and significant recreational pressures. The area is known for its huge concentrations of Snow Geese and also as a stop-over for migrating shorebirds.1, 2, 3 ZICO (Zone Important pour la Conservation des Oiseaux – the French name for IBAs). The campaign was successful in raising awareness of the conservation issues affecting the IBA and the need for the development of solutions to protect the area among local residents and policymakers. Threats: This IBA is situated near the port of Quebec City and along the north shore of the St. Lawrence River, stretching to cover the north channel to about half-way along Ile d’Orléan. In addition to shipping traffic, pollution from industrial sources and cars, the area also has beaches and coastline that attracts recreationists including pleasure boats, sail boarders and kite flying. Finally the area is in proximity to people’s pets. Running dogs and roaming cats pose a threat to birds in the IBA. 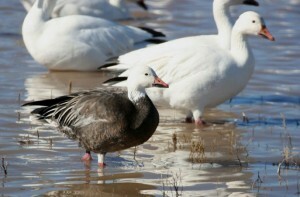 Species that need protecting: Greater Snow Goose, Shorebirds and other water birds. On the ground efforts: The G3E and its partners worked to organize activities that increase awareness and appreciation of the environment and conservation issues through a photo contest, developing a downloadable rally course to guide Facebook users to sites of importance, twitter chat focused on the IBA and its issues, shoreline clean ups, birding with experts, and education activities for schools. The Photo Contest was a huge success. 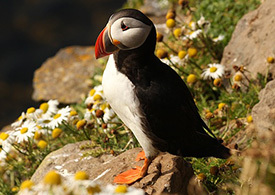 Project: Engage local community in workshops to reduce human threats to Atlantic Puffin colony. Canadian Parks and Wilderness Society Newfoundland-Labrador Chapter worked to protect the Atlantic Puffin colonies in the Witless Bay, IBA. 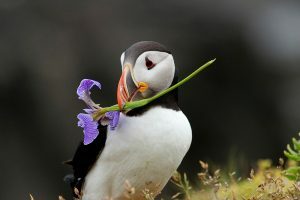 For six years, CPAWS NL has worked within communities in close proximity of the Witless Bay Ecological Reserve to rescue and release puffins and petrels who become stranded on the mainland because of attraction to artificial lights. 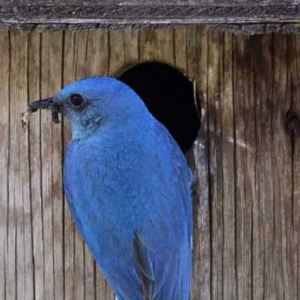 Light attraction from the local town is a source of mortality for young birds. The CPAWS local chapter has worked on a community solution to this problem so that young Atlantic Puffins and Leach’s Storm Petrels are not victims of local lights. The project has worked to reduce human disturbance to nesting seabirds in the Witless Bay Ecological Reserve IBA; to increase knowledge and engagement among local citizens in the stewardship of the IBA; to increase awareness of the IBA and its conservation needs among the general public and visitors to the region. Where: Baie de Brador IBA, with a focus on Ile aux Perroquets, on the Strait of Belle Isle, Labrador. Threats: Current threats are:1) disturbance to puffin burrows by visitors (photo); 2) egg loss from boats and Sea-doos approaching the NW shore, causing panic flights for thousands of Razorbills and Common Murres (photo); 3) competition with capelin seiners for forage fish; 4) ingestion of plastic pollution from several sources; 5) bycatch in local gillnet fisheries including ghost nets; 6) oil pollution from transiting ships; 7) fox predation (fox den, 2015); 8) impacts of climate change on forage fish; and 9) illegal hunting (diminishing). Species that need protecting: Common Murre, Razorbill, Atlantic Puffin, Black Guillemot. On the ground efforts: Science-based advocacy using census results, known threats, and positive stewardship. Targeted engagement organizing with municipal, tourism, enforcement, fisheries, and youth group leaders. The project has worked to reduce human disturbance to nesting seabirds in the Witless Bay Ecological Reserve IBA; to increase knowledge and engagement among local citizens in the stewardship of the IBA; to increase awareness of the IBA and its conservation needs among the general public and visitors to the region. Project: This project has worked to improve local knowledge of the value of the Baie de Brador IBA, threats to its birds, and result in increased community engagement in IBA stewardship and support for the Migratory Bird and Sanctuary. Through meetings and workshops, the project worked to inform, guide, and motivate local leaders to reduce disturbance to the IBA and promote its ecological value. It worked to train youth to ID seabirds, prevent disturbance from boats, and conduct beach clean-ups. On the ground efforts: Science-based advocacy using census results, known threats, and positive stewardship. Targeted engagement organizing with municipal, tourism, enforcement, fisheries, and youth group leaders. Through meetings and workshops, the project worked to inform, guide, and motivate local leaders to reduce disturbance to the IBA and promote its ecological value. It worked to train youth to ID seabirds, prevent disturbance from boats, and conduct beach clean-ups. Habitat degradation, climate change, pollution, and human impact pose grave threats to Important Bird Areas and Canadians need to band together to protect these critical habitats and wildlife. The IBA Action Fund was created to give much-needed funding to protect hundreds of species of birds across Canada – and now you can help too!